Three years ago, artificial intelligence company DeepMind embarked on a landmark effort to transform health care in the UK. Now plans by owner Alphabet to wrap the partnership into its Google search engine business are tripping alarm bells about privacy. Data protection advocates cried foul when the company reversed course on an earlier pledge to keep DeepMind Health, which taps millions of British medical records to monitor and diagnose disease, separate from Google. This month Alphabet said it plans to consolidate the businesses. While Google says it will continue to ring-fence the patient data, critics say the potential for abuse is significant: What if the company later backtracks and pairs medical records with its search engine and Gmail app, which harbor extensive information on users’ daily lives? That would present a formidable risk to privacy, they say, and could cost patients and providers dearly if the company converted the data into high-priced products. "Google turns patient data into secret intellectual property that ensures treating future patients will be very, very expensive," said Deborah Peel, head of Patient Privacy Rights, a US -based advocacy group. "Corporations are governed by profits and Google Health is all about profits." Google will help bring DeepMind Health’s benefits to more people around the world faster than it could have ever accomplished on its own, said Dominic King, a former surgeon in the UK’s National Health Service who served as the unit’s top doctor and helped develop an app, called Streams, for tracking severe kidney injury. DeepMind Health is also developing systems for predicting eye disease and breast cancer risk. "I am excited to see our vision for Streams to become a reality at scale," said King, who’s transferring into the new Google Health unit, in an email. DeepMind said it processes patient data only at the behest of the hospitals it works with and all records are held in a center not run by Alphabet, where it is "separated at all times from any other data." The merger wouldn’t change this arrangement without agreement from the hospitals. Google said it stands by DeepMind’s position. "We are currently talking to our NHS partners to plan for the transition of our contracts and this cannot take place without our partners’ consent," King said. Questions about DeepMind’s partnership with the NHS date to 2016, when critics asked whether the company had obtained patients’ consent to use their records for its development projects. At the time, DeepMind co-founder Mustafa Suleyman said that "at no stage will patient data ever be linked or associated with Google accounts, products or services". Last year, the UK government privacy watchdog said an NHS hospital had illegally sent 1.6 million patient records to DeepMind to develop Streams, fanning public fears about data safety. In June, a group of outside experts DeepMind Health appointed to scrutinise its work urged the unit to "entrench" its separation from Alphabet. After the consolidation with Google was announced, Julia Powles, a researcher at New York University School of Law and a critic of DeepMind’s work with the NHS, scorched the reversal. "DeepMind said it’d never connect Streams with Google," she wrote. "The whole Streams app is now a Google product! That is an atrocious breach of trust." The controversy could complicate Alphabet’s efforts to commercialise its disparate health-related projects in a unified push. 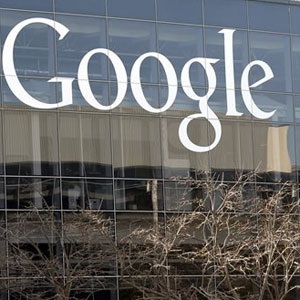 Earlier this month, the company announced it was hiring David Feinberg, chief executive officer of Geisinger Health System, one of the US’s largest health services organisations, to run the new Google Health division. Earlier in the year its Google Cloud division hired Toby Cosgrove, former CEO of the Cleveland Clinic. Alphabet is one of many companies anticipating the enormous impact of Big Data in health care, said Eric Topol, chairman of innovative medicine at Scripps Health in San Diego. Google’s Verily Life Sciences project and DeepMind have both been collecting vast amounts of patient information to design and automate care systems. Putting them side-by-side widens the possibilities for innovation, Topol said. "When you’re taking on health records on millions of people, why not extract other information that might be useful for clinicians?" he said in a telephone interview. Alphabet wants to match rivals’ major investments in health, according to Jeff Becker, a senior analyst at Forrester Research, said. While Apple has targeted consumers and insurance companies, and Amazon is courting companies that provide employees’ medical insurance, Google seems to be gearing initiatives toward hospitals and doctors, he said. Google ended a four-year project with Novartis to develop blood sugar-sensing contact lenses for diabetics, a sign of waning appetite for health projects unlikely to generate revenue. Merging the DeepMind unit into Google Health makes business sense, Becker said. "DeepMind is a research team," he said. "Google is better set up to scale and monetise health-care apps." Still, the change of course could harm tech initiatives if it breeds distrust of Big Data companies, said Arthur Caplan, head of medical ethics at the New York University School of Medicine. It also highlights the need for tougher regulation of privacy lapses and abuses, he said. "I want to see some stiff penalties for violating privacy," he said in a telephone interview. "If it doesn’t carry penalties it isn’t useful."